Q: Guess who covered “one of the biggest sporting events in history” last night? 1) The Knicks missed the part where they play the sacrificial lamb and actually won. 2) I got to write the game recap for Posting & Toasting, my first game recap that isn’t just me talking to myself. Check it out. Tell your friends. If your friends are editors for sports sites looking to hire a writer, tell them first. 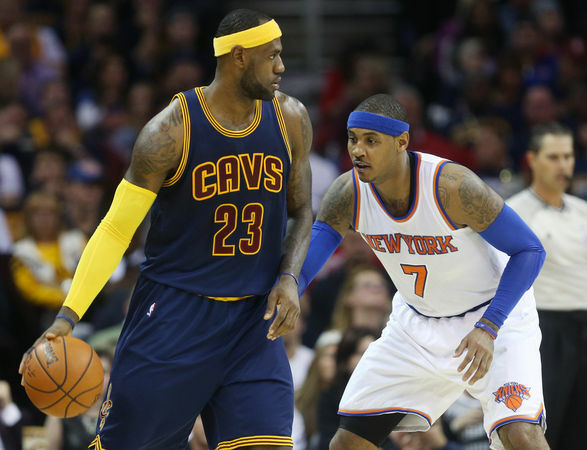 This entry was tagged cleveland cavaliers, Lebron James, New York Knicks, posting & toasting. Bookmark the permalink.